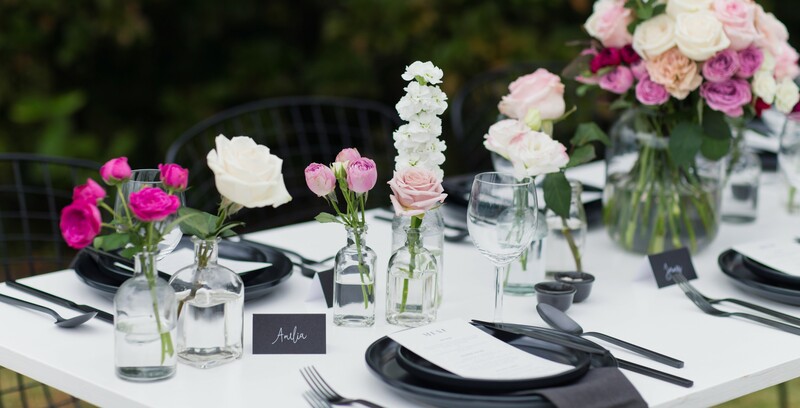 We offer a variety of bespoke wedding planning, event management and styling services in Brisbane. View our services online. Turning your dream wedding into reality isn’t always straightforward, in fact, most of the time it’s a stress-fuelled journey with more than one fork in the road. But it doesn’t have to be, and that’s where we come in. My experienced team and I will work with you to turn your vision into a reality, and ensure it runs smoothly. Whatever you require, you will have exclusive contact with me, Danielle, throughout the entire process. I’ll be there with you every step of the way to keep the stress levels at bay, from the initial planning through to the entire wedding. Nothing is out of reach for our team and we will do whatever we can to bring your wedding day dreams to life. Whether it be shooting confetti from a cannon as you say ‘I do’ to a custom-built wedding arbour. I’ve even been known to sew a replacement garter belt on the spot for one of my brides. You can find our hire prices here. For a detailed copy our 2018 services and prices, or to start chatting about your big day, please contact us today.